A fantastic city pad with access to a shared swimming pool, gym, sauna and roof terrace. 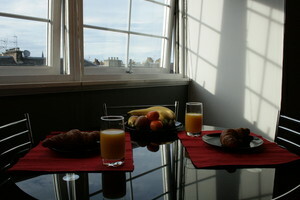 Stay in this 1 bedroom holiday rental property in Edinburgh that sleeps 2 (+2) with Wifi, Bath towels, Linen included. 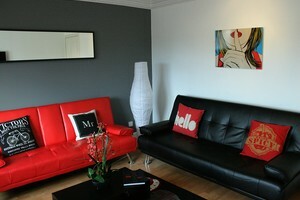 This luxury Edinburgh accommodation with pool has a wonderfully clean and stylish feel. It has smart decor and all the amenities you could need. The development has some added benefits, to make a holiday here just perfect. A large heated indoor pool is available for all residents and guests, along with a gym and sauna. A shared roof terrace with tables and seating areas provides the perfect place to enjoy the panoramic views of the city and watch the fireworks during the Edinburgh Festival. 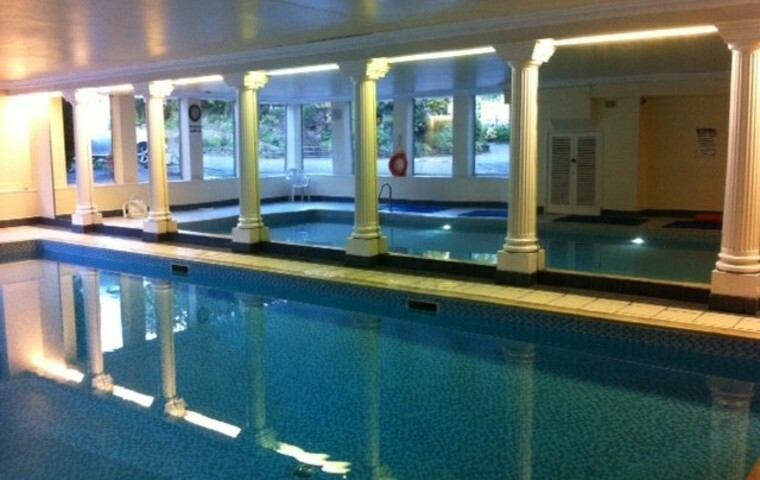 This Edinburgh accommodation with pool has 1 double room and an additional 2 sofa beds. So, it would be perfect for couples and groups of 2 to 4 people. Part of a luxury development on Caledonian Crescent in Dalry, Edinburgh. With secure code entry and lift access. 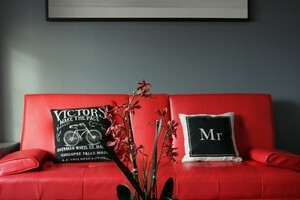 Inside you'll find a stylish interior, with bold colours on the walls, artwork and contemporary furniture. 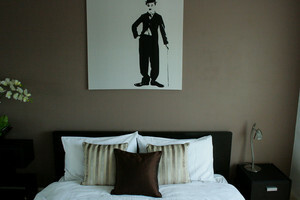 The bedroom has a double bed, fitted wardrobes and a bright outlook. The lounge has two sofas, both of which you can fold down into beds. This provided additional sleeping arrangements for two or more adults. The lounge also has a dining area for four, and wall mounted TV. A plentiful supply of books are available for relaxing in the apartment. 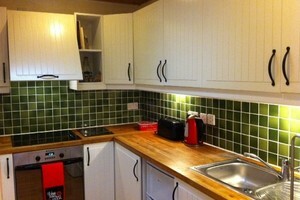 The newly fitted kitchen is beautifully presented and fully equipped with everything you'll need during your holiday. The bathroom has bath and power shower, and a skylight providing additional light. Plus, guests have access to a shared indoor swimming pool, gym, sauna and roof terrace with city views. Caledonian Crescent is a 15-minute walk or short drive from Haymarket, where there are frequent buses and trams to and from Edinburgh Airport, and good rail connections to other UK stations. There is also a frequent local bus service to other parts of the city. Parking notes As this is a city centre property, parking is restricted to roadside paid meter with a maximum stay of 4 hours. However, there’s a long-stay Car Park close by at FountainPark. Local area The Dalry area is a bustling community, with many great restaurants, and wide selection of local shops and supermarkets. 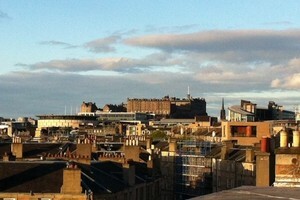 Close to Haymarket Station, it has good transport connections within and outside of Edinburgh. 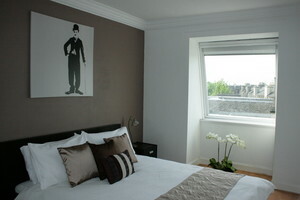 The property is just a 10 minute walk from Princes Street, the Meadows and many of the festival venues. So, it’s very well placed for visiting local attractions and shows. For those visiting Edinburgh with young children, a trip to the farm is a fun family day out.